LOCATION LOCATION! 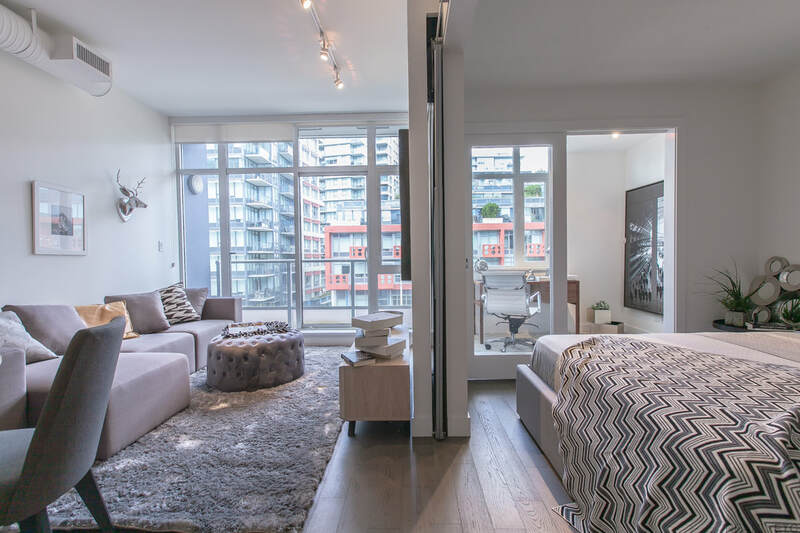 Stunning 1 bed +den + flex condo at Meccanica by Cressey Development is an absolute gem! The modern open concept layout features air-conditioning, 9'5 ceilings, Grohe fixtures, engineered hardwood flooring, and of course, Award Winning Cressey Kitchen with integrated European appliances, quartz countertops/backsplashes & soft-close cabinetry. Desirable central location bordering vibrant Olympic Village/SE False Creek & Mount Pleasant neighborhood. Walking distance to the Science World, downtown core, seawall & transit network. Enjoy some of the best of Vancouver has to offer in craft breweries & restaurants at your doorstep. Pet and rental friendly. Don't miss out! Open House June 9 & 10th, 2-4pm! !